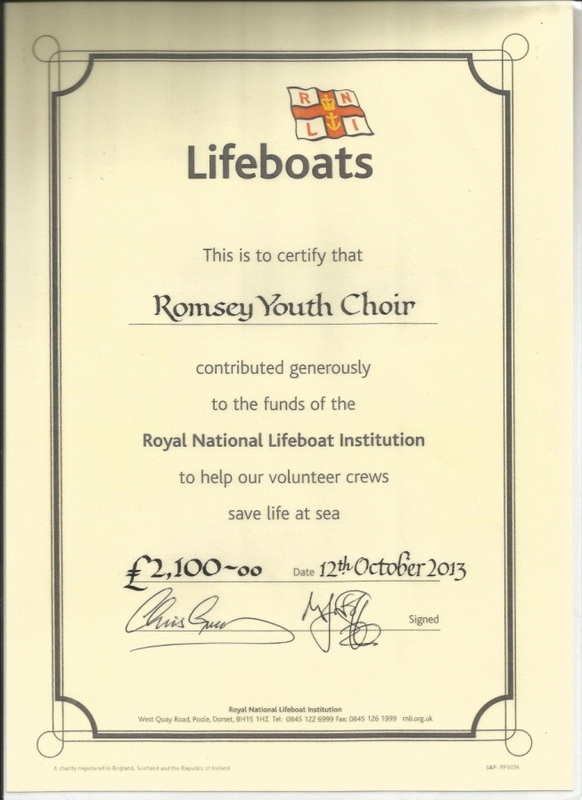 Romsey Youth Choir was the guest of Romsey Male Voice Choir at a concert in a packed out United Reformed Church in aid of the RNLI. The RYC performed 7 songs which were split between the two halves. A fantastic evening was had by all, with beautiful solos from Kate and Rosie in “Blue Mountain River” and from Suzanne in “On my Own”. We performed “Let the Rivers Run” and “Only Time” for the first time – new songs that we’d prepared this term – and from the audience response they are set to become firm favourites. About a third of the choir were making their debut performance and £2100 was raised for this very worthwhile charity.